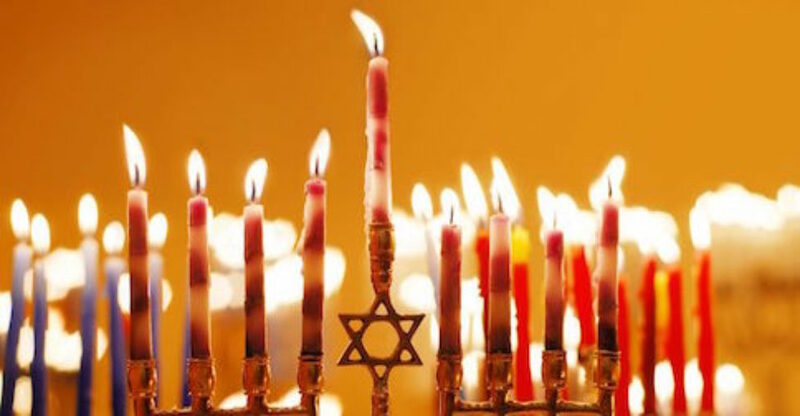 Chanukah,meaning “dedication” in Hebrew, refers to the joyous eight-day celebration during which Jews commemorate the victory of the Maccabees over the armies of Syria in 165 B.C.E. and the subsequent liberation and re-dedication of the Temple in Jerusalem. The modern celebration of Chanukah centers around the lighting of the chanukiah,a special menorah for Chanukah as well as unique foods, latkes and jelly doughnuts. On Chanukah we also socialize with special songs and games.